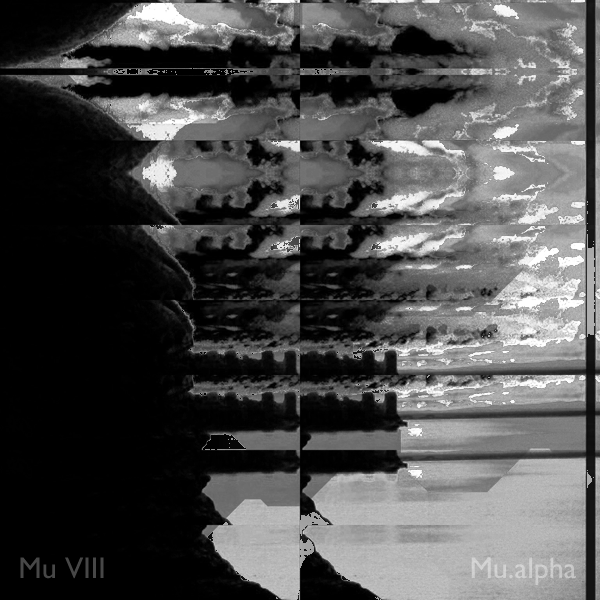 I do not know a lot about the artist called Mu.Alpha, and I’m terribly lazy to not do any research for your enjoyment. But to cease the disappointment I promise you that the rest of the words are all about his free downloadable release called ‘Mu VIII’. Soft crackles that might be the sound of soft rain make way for sniping tones of death ambient. Slowly a sad but interesting mood comes out of the speakers. Bright and slightly high tones squeeze themselves in this gas of sound, adding a certain organic mystery to the mix. The music transforms into something more alive than death, with strange electronic woodpeckers quickly making a presence and then leaving us alone with these strange tension of dark ambient tones. We hear more electronic insects in the depth of it all, but mostly they seem to avoid the open place of mysterious ambient. Some more intensive sounds slowly slide in for the extra punch of slight creepiness. It feels like the artist has dropped us in the middle of a thick unknown forest, a place that is beautiful as nature should be, but in this case also definitely full of unknown danger. This entry was posted in ambient, drone, electronic, experimental. Bookmark the permalink.